Here is the 3rd stationary related Korean word of the day. 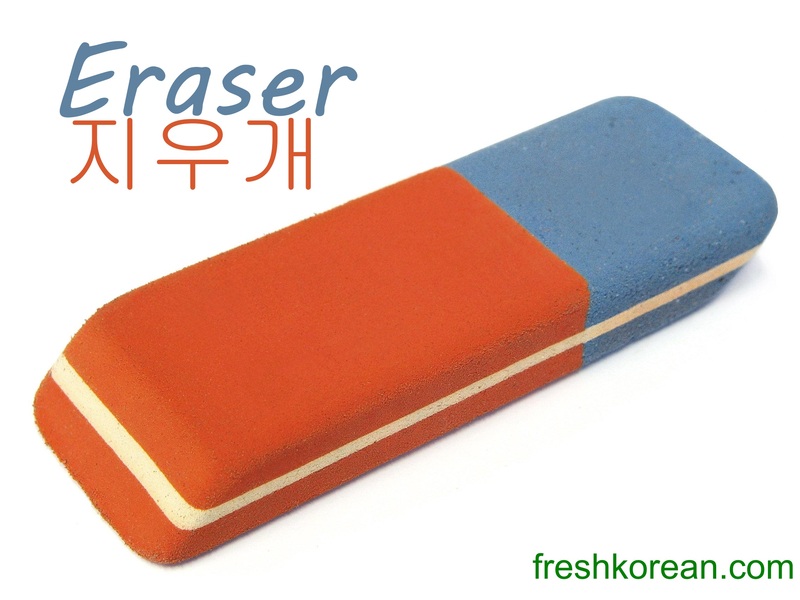 Today’s word is Eraser (Rubber for the Brits) or 지우개 in Korean. Thank you for your time and we hope to see you again soon.